There's only 3 days left of Sale-a-bration!!! I hope you got the free items that you wanted. I'm offering a 3 day special. 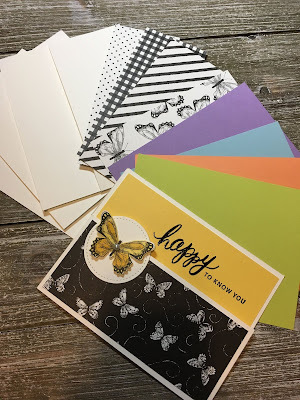 Place a $60 order and I will send you these 5 card kits in the mail. Offer ends March 31. You will also receive a free sale-a-bration item. One of the free items could be this Beautiful Botanical Butterfly Designer Series Paper. The Butterfly Duet Punch is back in stock which is what I used to punch out the butterflies for my card. I'm featuring the Friendly Expressions stamp set today. 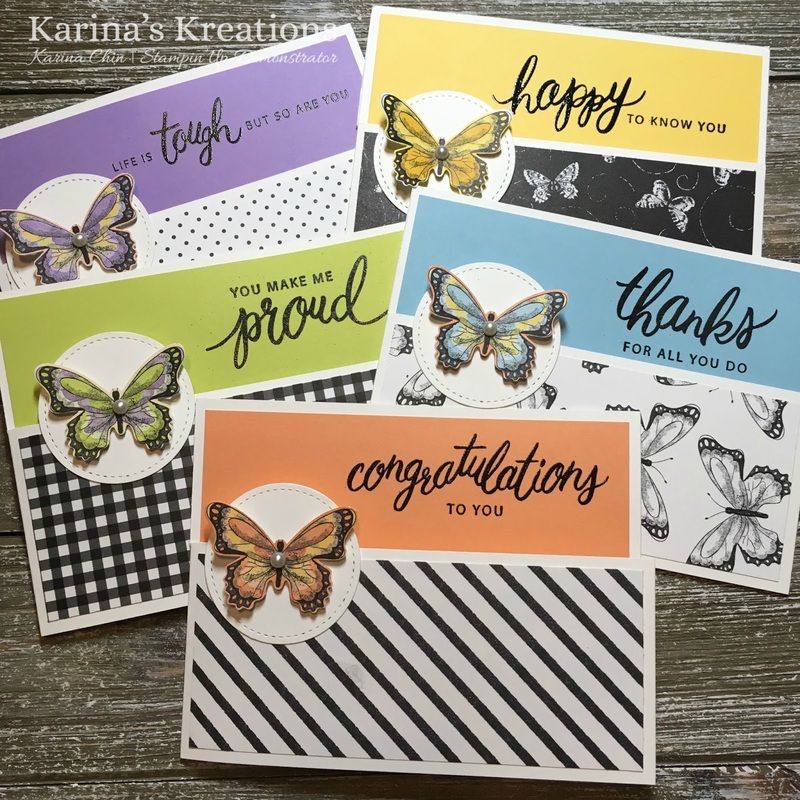 All 5 cards were made with one sentiment from the stamp set. Wouldn't this make a great teacher or Mother's Day gift?